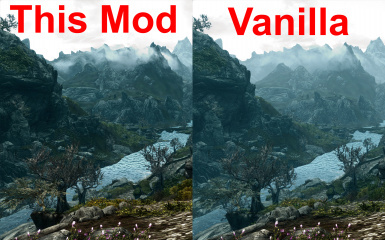 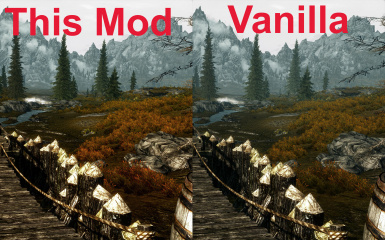 This mod does two simple modifications to the exterior fog of Skyrim to enhance the environmental immersion dramatically. 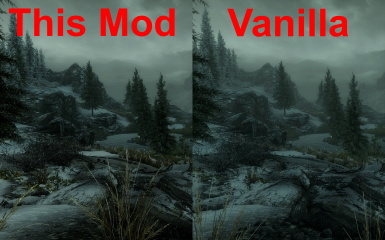 Credits to Bethesda for there great game and there Creation Kit allowing me to make these dramatic changes to the awe of Skyrim. 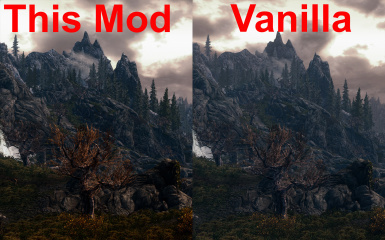 (1)Distance fog is now 50% thinner - this makes for a better view and more subtle blending with the skyline. 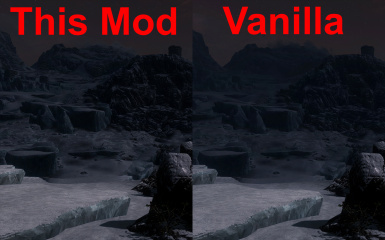 (2)The fog start has been pushed further away frm the player allowing the immediate surroundings to me much clearer and asthetic - the immediate area around the player willl no longer be washed out by the fog color.